The people groups residing in North America come from every Affinity Group in the world. Affinity Groups are large groupings of related peoples that share similar origins, languages and cultures. There are hundreds of people groups in an Affinity Group. Their origins stretch to almost all nations. Their languages could be “romance” languages like Italian and Spanish — they are similar but not identical. The cultures are unique in each country (Italy and Spain) but they are not as different as Italy and India. 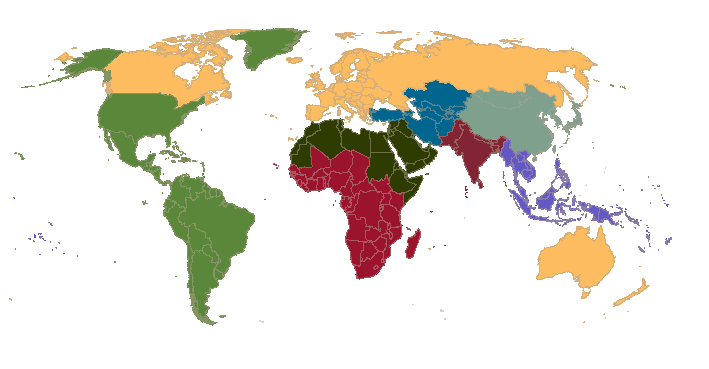 With this in mind, the peoples of the world are divided into eight primary affinity groups with a ninth affinity group uniquely targeting the world’s culturally Deaf people. Select one of the nine Affinity Groups below to learn their strategic people group church planting needs, their associated people groups, and pray for that Affinity Group within the North American context.